LITTER UPDATES........ Reservations are now being taken for 2016 Summer/Fall/Winter littlers! Breedings will take place Spring/early Summer depending on when the girls cycle. 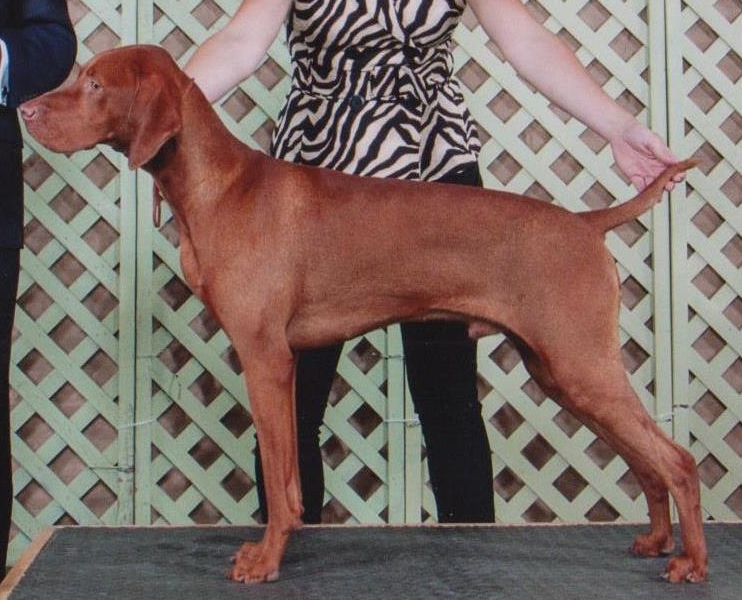 We have a planned breeding between Ch Egerton's Atlantic Red Danica, FDJr and GCh Akar Sir Newman At Egerton NS, FDJr in mid April, 2016. Surigical breeding between Dolly and Dexter did not take, we hope to try a natural breeding in June/July of 2016. 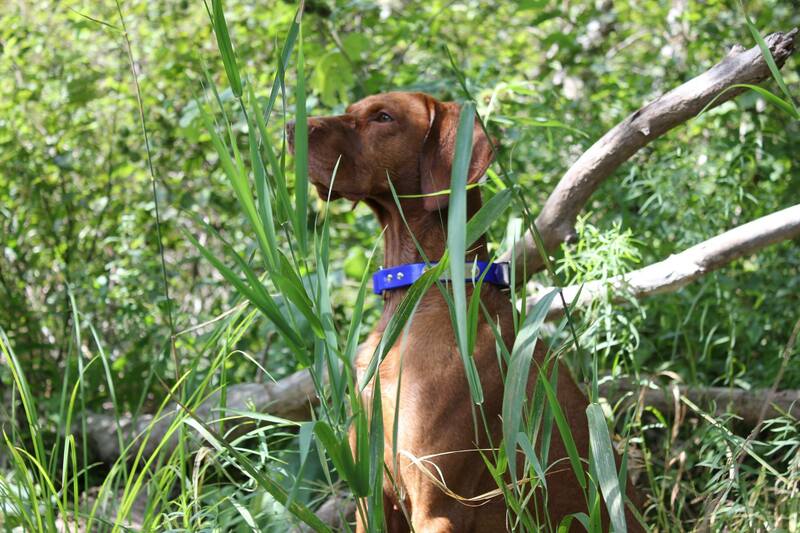 Dexter is a handsome young man bred and owned by Akar Vizslas in Quebec. He has completed his Canadian Championship and also has had his health checks completed. He is moderate in size, beautiful shoulder layback and rear angulation. This will be Dexter's first litter.. Dolly is a beautiful girl, a lovely combination of Show and Field. 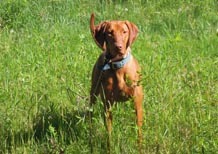 In 2012, at just 17 months old, she took Best of Opposite at the Ottawa Valley Pointing Breed Speciality in a large competitive field, completed her Field Dog Jr title at the Ottawa Valley Pointing Dog Field Test, then won her stake as well as Best Overall Field Dog in Atlantic Canada's first ever walking field trial. 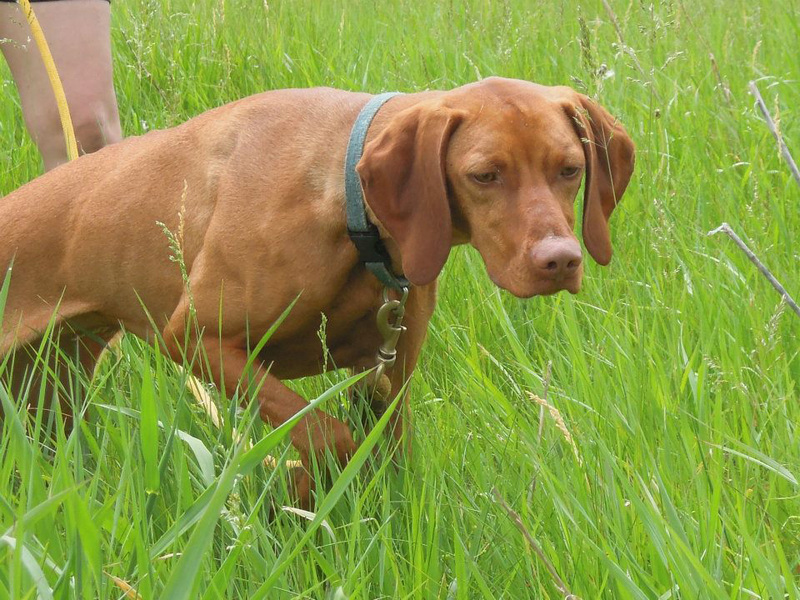 She loves to cuddle and enjoys the company of the other vizslas in our household. 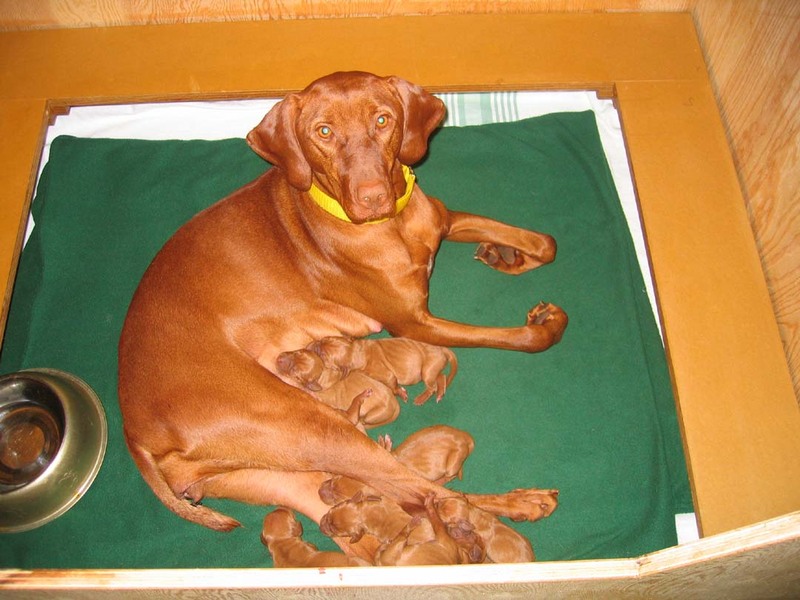 This will be a beautiful, versatile litter! 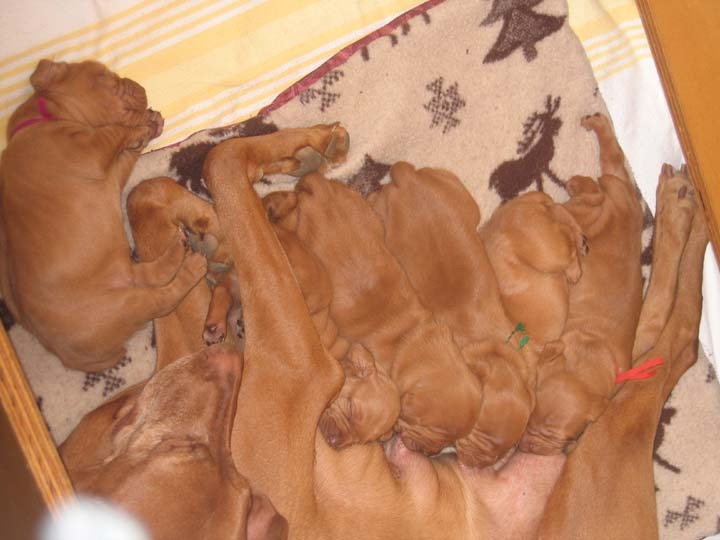 Please book your Egerton Vizsla pup well in advance to avoid disappointment. Email me to get on our list for our 2016 litters. Shipping is available.